Do you have high cholesterol? You might like to try the Portfolio Diet. This evidence based diet includes many foods that have been proven to lower total cholesterol, and combines them to maximise their effect. These need to be included on the base of a healthy plant based diet (low in saturated fat, sugar and salt and high in fruits and vegetables) and lots of physical activity. 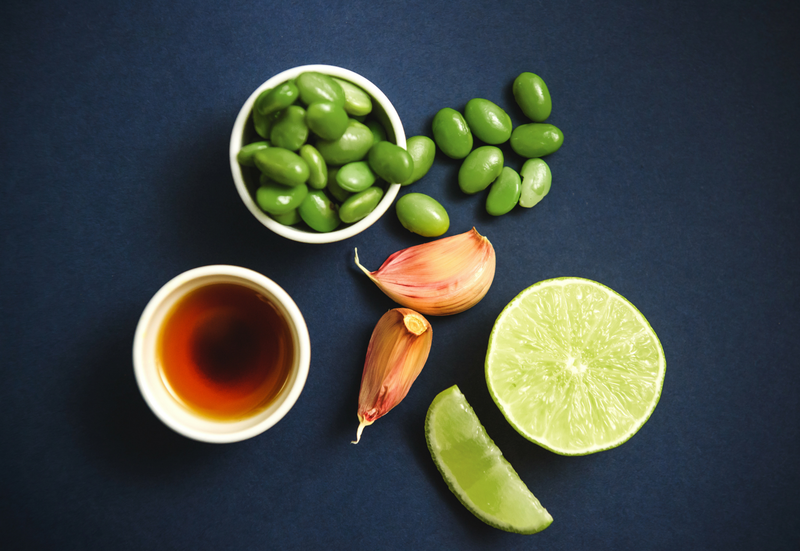 This diet has been extensively studied and has been shown to reduce LDL cholesterol (often called ‘bad cholesterol’) by 30%, which can be as much as first line low dose drug treatment with statins. We’ve been investigating how including Liberto products can help dosage make the portfolio diet more exciting and flavoursome. As part of the Portfolio diet you should aim to eat 80-100g of beans each day and 25-50g of soya protein. 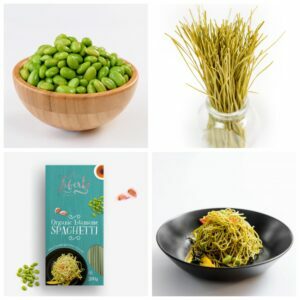 The good news is that one 50g serving (dry weight) of Liberto Edamame Pasta contains 22g of soya protein. 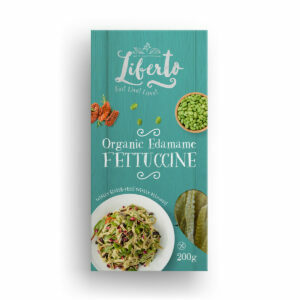 Also, one serving of Liberto black bean pasta contributes 50g towards your intake of beans each day. Traditional, wheat based pasta would not contribute to either of these goals. For some inspiration please check out our recipe collection. We love it when tasty food is also good for your health! For more detailed information on the diet please click here. If you are concerned about your cholesterol level you should consult your GP, and may ask to see a Registered Dietitian for personalised dietary advice.